An interesting piece of pre-order bonus content is giving players the chance to assassinate history's most nefarious villain. 505 Games has revealed that players who pre-order the upcoming tactical shooter Sniper Elite V2 before May will be given an exclusive bonus mission called "Assassinate the FÃ¼hrer." The highlight of this extra content is, of course, placing a bullet between the eyebrows of Adolf "I'm Too Evil For a Middle Name" Hitler, the man personally responsible for making a simple style of mustachery permanently unfashionable. For those perhaps unfamiliar with Sniper Elite, the game features critically-acclaimed sniping simulation, accounting for everything from the shooter's position, distance, and stability to environmental factors such as gravity and wind. During "Assassinate the FÃ¼hrer," players will need to account for all of these potential obstacles and more if they hope to cap the Nazi bigwig as he exits his personal train. Sniper Elite V2 is actually a remake of the original 2005 game of (mostly) the same name, and will be released for Windows, Xbox 360, and PlayStation 3 on May 5th. 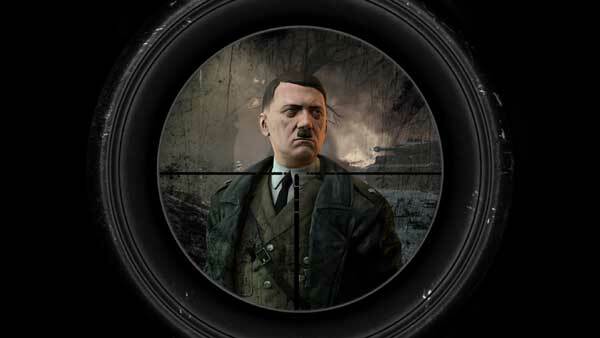 So, if you're into historical revision, those hokey time-travel episodes of your favorite television shows, or just someone who wants to watch virtual Hitler's brain go splat in slow-motion via Sniper Elite's X-ray cam, then you may want to secure an early copy of the game within the next few months.